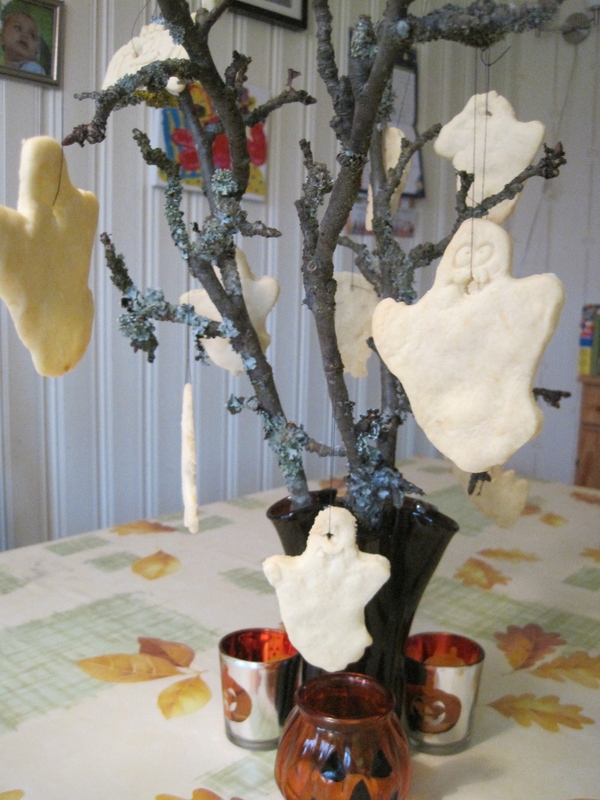 A Tasty But Spooky Tree! Halloween may almost be over, but here in Stockholm the half term holiday has just begun, and the week has been dedicated to spooky happenings and day of the dead activities throughout the museums in town. …. ghosts, bats, skulls, witches and spiders hang from gnarled old branches covered with moss…. Mix flour, butter and icing sugar in to crumbs. Add lemon rind and milk, and make in to a dough – chill in fridge for 20 minutes. 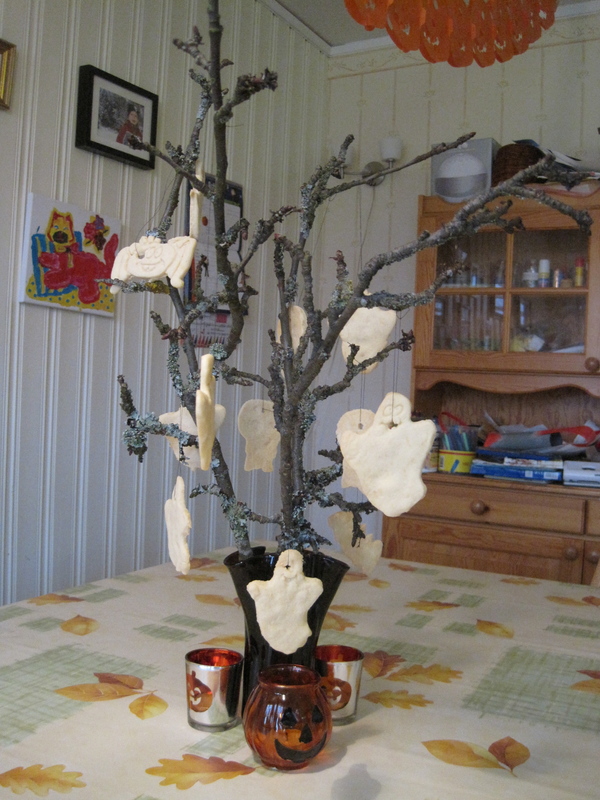 Cut in to Halloween shapes with cutters, and put in oven for 15 minutes at 160 degrees C / 325 degrees F.